Help your new addition put his/her “best paw forward” with Winter Park’s exceptional puppy care! Congratulations on the addition of your new family member! At Winter Park Veterinary Hospital, we look forward to welcoming your new puppy into our family as well! We enjoy assisting our clients and their families as they guide their new puppies along the exciting journey to exceptional health and lifelong happiness! 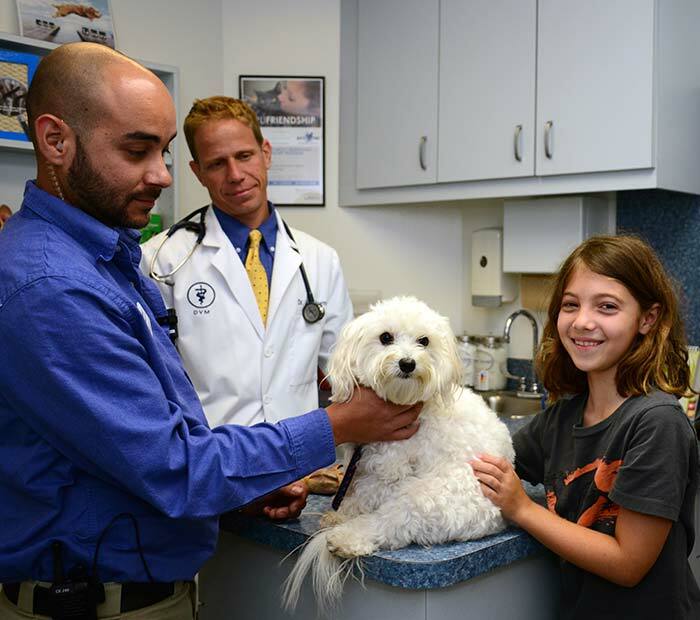 Our veterinarians at Winter Park Veterinary Hospital have designed detailed puppy care programs that both includes thorough evaluations and provides pet owners with the guidance and information they will need as their new family members develop. Pre-puppy planning is important. It is best to purchase supplies (for example, food and water bowls, chew toys, grooming supplies, bedding, collar and leash, identification tag, crate and gates) before you bring your puppy home. Pre-puppy shopping allows you to shop for supplies without the pressure of the puppy immediately needing these items. When you bring your puppy home, please schedule an appointment with one of our veterinarians for your puppy’s first wellness exam. This initial visit’s exam includes a thorough “nose-to-tail” physical evaluation, and allows us to establish an individualized preventative veterinary care program for your puppy going forward. Diagnostic testing for internal parasites and parasite control medication as needed. Scheduling your puppy’s first wellness exam will set the foundation for your beloved new addition’s long-term health, as well as establish a beneficial routine for future wellness visits. The first few visits will allow our veterinarians to complete your puppy’s initial vaccination series, dispense heartworm medication, and monitor any developing medical or behavioral conditions. Any prior health records that you received when you brought your puppy home, such as history of vaccines, deworming, neutering, past medical history, etc. If you any questions about your puppy, please give us a call. We are here to help. Contact us to schedule a puppy wellness exam for your new puppy.